April 2019 Update: Our list of free social media analytics tools has been refreshed for 2019 – check it out below! Differentiation is no longer about offering a different – or better – product. It’s about offering an overall customer experience that makes consumers feel seen, heard, and understood at the deepest levels. That includes product and service offerings, of course, but it also extends into the shopping experience, customer care, and what your brand stands for. Competitors aren’t always obvious, as innovative disruptors continue to emerge, and getting to the top of your industry doesn’t guarantee you’ll stay there. Unless you find ways to connect to your audience, on their terms, across every touchpoint. This requires getting to know them as individuals – a process that must be fast, precise, and ongoing. It’s a process that can only be accomplished with the help of social analytics tools. With the right social media analytics tools, even the smallest of businesses can compete for share of voice against the mightiest of global brands. But which tools are “right?” If your budget allows, best-in-class AI-supported analytics are the goal. And if your budget isn’t comparable to the global goliaths out there, there are analytics platforms for every budget, every goal, every level of expertise. To make things easier for brands new to social analytics, we have compiled a comprehensive list of social media analytics tools that meet you where you are. We’ve also included tools to grow into – when your early analytics help you succeed enough to invest a little more and take your business further. At NetBase, we define social media analytics as gathering data from social channels and other online content to guide business decisions. It takes many forms, but is always about gaining actionable social insights to guide your business strategy. Whether it’s growing traffic, increasing downloads, or building positive brand perception, setting clear business objectives gives your analytics purpose. Determine social key performance indicators (KPIs). And any other KPIs that align with your business objectives. Measure & Analyze Social Data. Once you know what matters and why, it’s time to analyze the actual data. By applying one of the tools below, you can assess the state of your business and make informed adjustments as needed. Without further ado, we present our list of social media analytics tools. Please jump to your preferred section with the links below or start scrolling through the entire list. First, a word about free tools. Free can get you a lot – but most, if not all, the platforms below offer even more when you upgrade to a paid plan. Even then, however, they don’t all have the cutting edge advantages of comprehensive tools meant to grow with the industry. Things like Next Generation AI, which levels up tool features like NLP, image analytics, and more. What’s more, many of these free or lower-cost tools don’t allow you to integrate with non-social data sources – which are just as important to understanding how your audience perceives your brand. Those are the tools you want to invest in as soon as you’re able. Before you immediately think cheaper is the way to go, consider whether you have the budget for something with a little more “oomph.” If so, the following tools fit the bill – and still have either free trial periods, or one-on-one demos available, so you can try before you buy. With a focus on consumer sentiment – the driving force behind all social posting – NetBase is a cut above many social media intelligence offerings. This industry-recognized platform uses multi-faceted, Next Generation AI-boosted Natural Language Processing (NLP) to decipher multiple languages, as well as online “slanguage” and emojis. Real-time monitoring – layered with image analytics and VoC analytics – alerts brands to reputational threats, while keeping brand health at a maximum. Their focus on innovation keeps them nimble when things like Instagram’s API changes ripple through the analytics industry. Price: We have several options to suit your needs and budget – ask us! Often appearing on free tools lists, Hootsuite has grown to offer plans for enterprise sized brands, as well as individuals and SMBs. With sentiment-driven insights, conversation maps, customizable dashboards, and reports, it’s a worthy contender for brands who need and can afford more. Meltwater boasts an AI-powered social engine which automates social listening and engagement efforts so brands and agencies can “turn trillions of owned and earned data points into contextual insights and predictions that drive stronger business decisions.” That is certainly the name of the game. Sprout Social is another solid tool for social listening to guide marketing and brand efforts. Though there’s no mention of AI capabilities, there’s a lot to like on the competitive and brand intelligence side, as well as inbox integrations, trend and hashtag monitoring, etc. There’s oddly no mention of sentiment, which is table stakes for a tool at this level. The tools above are ideal options for brands who want to stay on the cutting edge. If budget really is a concern, however, something is better than nothing. Here are some option that offer a great starting point. First are the analytics built into some of the top social networks themselves. If your social presence is limited to these, the free analytics tools they provide are an excellent starting point toward understanding your audience. There’s a lot on offer here, including a look at organic versus paid reach and engagement, which helps you decide whether spending on ads is worthwhile. Look back as far as 28 days, and export data to compare over time. Review page views, previews, and actions taken, and see age, gender, and geographic demographics of your audience. You can even do some competitive intelligence using Pages to Watch, which lets you see which posts are succeeding for your competitors. After all, if it’s working for them… The biggest downside is the lack of sentiment analysis – which is what tells you why your audience is invested in your brand and content. Twitter’s built-in analytics tell you a lot about which tweets are succeeding and to what degree – even if they don’t tell you why. 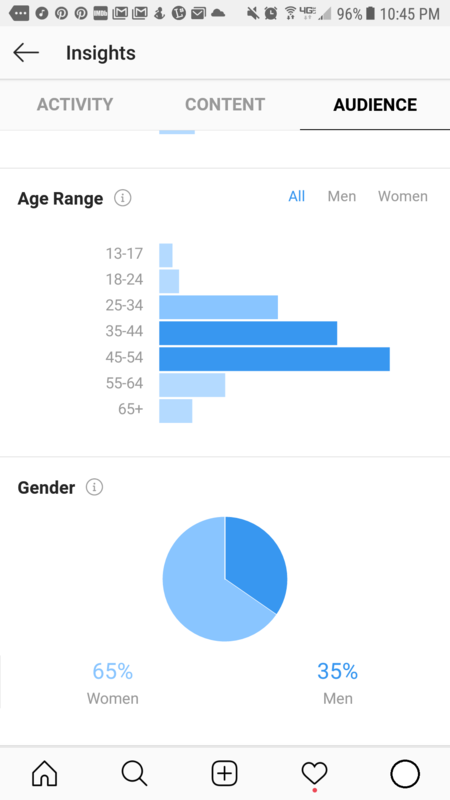 The audience tab displays a breakdown by gender, and also by interests. It also lets you compare against a comparison audience – like “all of Twitter.” The events tab clues you into which current events – like Mother’s Day, Coachella, and the Met Gala – have everyone abuzz. Video view insights and conversion tracking are great additions. Missing is the ability to target individual audience segments with messaging just for them. But you at least have an idea of where to aim to please the majority of your audience. Pinterest business accounts – which you can easily switch to – have access to Pinterest Analytics. Pinterest Analytics measure the traffic your site gets, as well as traffic from other channels, the content people save from your social channels, and audience insights. These reveal key information about your followers, including demographics and topics that interest them. And you can compare your audience against the overall Pinterest audience to see where they fall. Sentiment is, once again, lacking – as it often is with free tools – but for this specific channel you can learn plenty with the analytics on offer. As with Pinterest, you need to convert your profile to a free business profile before you can use Instagram Insights. Once you do, you have access to Activity, Content and Audience insights – like interactions (profile visits and website clicks), discovery (reach and impressions), post, Story, and promotion analytics, and location, age, and gender info for your followers. You can also see which days and times they are most active on Instagram. Missing is the ability to analyze images for sentiment, logos, location, etc. Videos are one of the most engaging types of social content out there, so it’s great that YouTube now offers analytics of their own. Grow your channel and maximize revenue with analytics on earnings, engagement, and traffic sources with filters for sorting by content, geography, and date to see if a video is popular in a certain location, or over a specific date range. Earnings reports let you track earnings and total views, as well as which ad formats were most successful for driving revenue. Audience retention reports shows you how style, length, and promotion efforts affect your videos. Pro tip: Use Average Watch Time data as a guide for front-loading key information in your videos. Built-in analytics are great, but not every social platform offers them – note the absence of Tumblr, for example. What happens if that’s the channel where your audience is most active? And what happens if your brand is active on several social channels? Then built-in analytics make even less sense to use. It takes too much time and effort to manually compare data from multiple channels to understand what’s happening with your brand across the web. Luckily there are also free/low-cost tools that span multiple platforms, or offer deeper insights – or both. Boardreader uses search bar simplicity to put you in touch with reviews and forum posts – which are an oft-forgotten part of social data. See consumer posts or threads within the past day, or as far back as a year. Advanced search features let you filter results to get a better sense of things. The “Trendy” graphs let you compare conversation volume against other brands – though you won’t know what is actually being said, or whether it’s good or bad. Still, it’s a starting point that could work with other free analytics tools. Buffer has been a solid post-scheduling tool for a few years now, but that’s hardly its only merit. The free version allows for scheduling of posts to one account each on Twitter, Facebook, LinkedIn, Google+ and Instagram – up to 10 posts in your queue at a time, per network. With an upgraded plan you can see analytics on retweets, mentions, clicks, likes, and potential reach for each post – so you can see which type of content is succeeding best. You can also see your most influential and engaged followers, as well as who’s sharing your content, which is super helpful for building relationships. You can also monitor and schedule more accounts. For even more, upgrade to Buffer for Business. If your need for social data is limited to Twitter, you can connect a single profile with Followerwonk for free and track and sort your followers to see how many new followers you’ve gained, and how many followers you’ve lost over the past day to 120 days. Search competitor handles for insights on their followers or choose three handles to compare users they follow, or their followers. You can also search Twitter profiles, as well as search bios for keywords – which is a great way to gather insights about how certain audience segments see themselves You get more if you subscribe, but if you need somewhere to start, this is bare bones and simple. Enter your brand name into the search field and have instant access to your brand’s “magnitude.” What’s that? “An indication of the level of activity around a brand during a given week. The range is from 0 to 10.” In addition, see your brand magnitude across 12 social networks, including LinkedIn, Google+, Tumblr, YouTube and Reddit. It’s about the easiest way to see which of the 12 your brand is succeeding best on – and where you need to rethink your strategy. Doesn’t tell you what you’re doing wrong, though – or how to fix it. Iconosquare is Instagram and Facebook focused – which is great if those are your only channels. For free you can get an audit of your Instagram or Facebook account, which tells you whether your account is optimized, and what’s missing. The paid tool offers more: Track metrics like follower evolution, average engagement rate per post, and reach and impressions history to tweak content. Compare against benchmarks of 100 industries for competitor analysis of follower growth, engagement and reach. See Instagram Stories insights reach and impressions, completion rate by story type, and best time to post Stories. Additional features like community analytics, profile activity, competitor tracking, and hashtag tracking are on offer. Sentiment metrics would improve their offerings, so you’d understand the why behind the insights. Likealyzer is a simple optimization and competitor analysis tool for those whose social strategy is built around Facebook. It recommends pages to watch, as well as rates how your page is doing in a number of key areas, while recommending actions to take to improve your own status. You can also compare yourself to other pages to learn where you’re falling short of competitors. In addition to posting and ad functions, PromoRepublic offers social monitoring – something all brands need. Get live updates from Facebook, Instagram, and Twitter; track mentions separately to identify and engage with authors of value; find and join conversations; see insights for all three social networks in one place; and see and resolve customer issues quickly. All good stuff, especially real-time quickness – but there’s no sentiment analysis to tell you where to focus your energy first. Also no help if you use other channels. If Stories are your jam – and they’re a powerful way to connect with consumers, for sure – then Snaplytics is a great tool. Create and distribute engaging stories, measure impact, and deliver insights on Snapchat and Instagram. You can also post from multiple accounts with auto-forwarding, repost follower content, and reply and communicate with your audience through the Snaplytics platform. Great for identifying best performing content, branded hashtag performance, how new followers find you, and performance against competitors. Instagram is a hugely important channel – for almost all brands – so it’s no surprise there are so many Instagram-centric tools out there right now. Squarelovin is yet another with a number of metrics on offer, like: recent posts and growth, monthly analyses, history of your posts by year, month, day, and hour. Insights on communities’ preferences and interests, what drives engagement, and best/worst post times are also on offer, as well as best filters and hashtags, and ways to optimize your account. For next-level options, work with UGC creators via image approval/disapproval, image rights management, path to purchase options, and sharing UGC imagery across your homepage, blog, landing pages, and emails. Monitor for insights on conversion rates resulting from UGC. SumAll lets you connect a number of social accounts like Facebook, Twitter and more. You can automate actions like sending thank you tweets to all who’ve retweeted your content, or automatically engage with your audience on social channels. View a quick comparison of all Facebook pages and how they’re performing against other SumAll users, and receive email digests of the accounts you choose in daily or weekly form. True Social Metrics has a lot of data on offer – even if you don’t quite know where it’s coming from or how they’re calculating it. Analyze your overall account performance, content analytics, audience analytics, and competitive analysis to understand what’s working and what’s not for your own brand and competitors across a decent range of social channels. You won’t know why, as there’s no sentiment data, however – which leaves you with a lot of trial and error to do. A word of caution: They claim “exclusive” Instagram competitive analysis – but all tools have the same access to Instagram’s new API, no exceptions. This is a bit of a red flag. For a quick snapshot of your reach on Twitter – for your account or competitors’ – it doesn’t get simpler than TweetReach’s Google-esque searchbar. You’ll have an instant look at your estimated accounts reached, “exposure” based on impressions, top contributors, and most retweeted tweets. Data returned is limited to 100 tweets, however. Upgrade for more tweets and accounts. With video content thriving, the option to capitalize on video content – for free – is a great one. Vizia uses tools like questions, polls, and multi-choice quizzes to encourage active participation from your fans, so you can improve your content based on their feedback. Easily embed and share videos, capture leads, and increase virality using Vizia. Wiselytics is currently focused on Facebook analytics – with Twitter analytics in beta. Key metrics you can track include reach, engagement, interactions and virality, with attention to which posts reached the most fans or had the most visibility. You can also easily spot unusual spikes in engagement, including negative feedback. Competitor analysis is also part of the deal, with “statistical fairness” for benchmarking larger competitors. Finally, get ROI of community management efforts to prove growth to higher-ups. Monitor posts, messages, connections, and mentions across Twitter, Facebook, Google+, LinkedIn and Instagram with Zoho Social. Connect each channel to multiple brands, for those managing multiple clients. Invite team members and collaborate all in the same place. It’s bare bones, but easy to navigate. This list is hardly comprehensive, but it’s proof enough there are numerous options for tracking consumer attitudes, opinions, sentiment and behaviors online. You have to do all that and more to stay ahead of savvy competitors – so having the right tools is a must. Which platform is the right one? That’s up to you. There’s something to be said for the idea that you get what you pay for – but sometimes you get a lot more. And sometimes you can get by – at least for a time – with something completely free. But after a while, you’ll likely need state-of-the-art tools to truly compete. Each of the platforms listed here offers a portion of what’s needed to gain a dimensional picture of your audience – but few of them “have it all.” In those cases, what you save in cost might be lost in efforts to cobble together insights from multiple sources. The time saved on such efforts makes the investment in a program that does it all well worth it. But if you’re not there yet, applying some type of social media analytics tools is a step in the right direction for all forward-thinking brands – and any of the above would be a good place to start. Ready for a social listening platform that has it all, and is committed to evolving as trends change? Reach out to schedule a demo today!